Dave West, of Meadowview Construction, demonstrates how FastCap’s ProHold save time when working…particularly on ladders. The ProHold features 9 neodymium high performance magnets and a comfortable and adjustable hook & loop wrist strap. For more information on FastCap’s ProHold, visit our website. Need a hook magnet that holds 15lbs? The Mag Hook is a tool that helps you organize your work, office or home space. 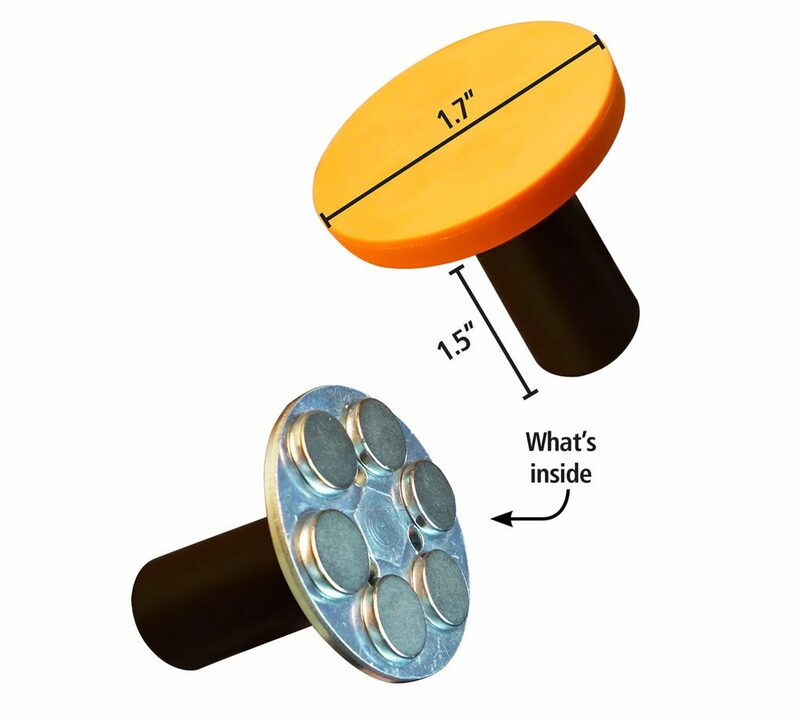 A 2″ magnet with an adjustable threaded hook, makes it easy to use and snap into any area you need. Never in your way, and always in place. Are you improving your improvements? Lukas discusses how he uses FastCap ProHold to improve his improvement for keeping the spray adhesive in its proper place. For more information on FastCap’s ProHold, visit our website. Want to effortlessly square up your table saw? The Magnetic Micro Square makes squaring up your table saw, band saw or any piece of equipment, effortless! The square sticks firmly to the cast iron table and allows hands-free adjustment of spindles, blades, and fences. The Super Mag is great for anytime you want to hold something to a metal surface. It is powered by 6 high-performance neodymium magnets encased in soft non-marring EVA. An extra long knob allows for quick placement and removal. Want to hide PowerMags in wood? Paul Akers demonstrates how hide FastCap’s PowerMags in a piece of wood using Fastcap Cover Caps and 2P-10 products.